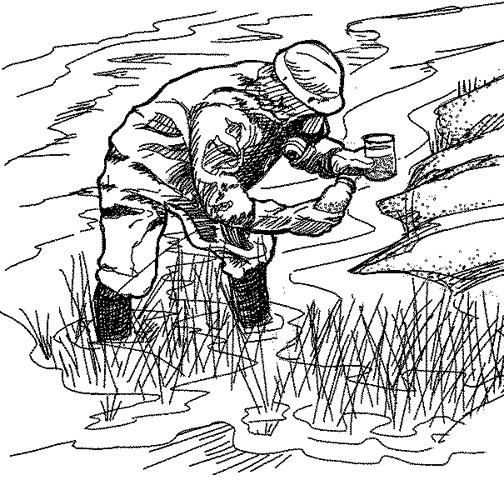 Randal Birkey did this line illustration for Newmont Gold, depicting a lab employee testing natural stream water for toxicity near a gold leeching facility. This illustration was done as a part of a series of illustrations on “How Gold Is Made” which has been featured in company annual reports, as well as on printed posters. The company pays close attention to the environmental impact of the gold mining and reclaiming process.